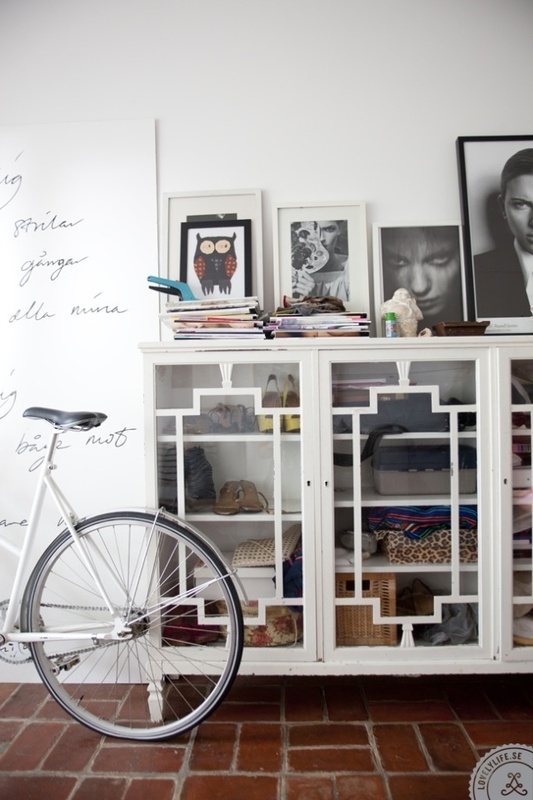 My So- Called Handmade Life: I Want That. - A Murphy bed for my son's room. It's a good choice for such a small room and will make it a more versatile space when he's grown. With two teenagers, I can start thinking about the future that way. I've already tagged his room as my one-day-craft room and half of my daughter's closet as a "bump out" to recess our fridge in the next room. 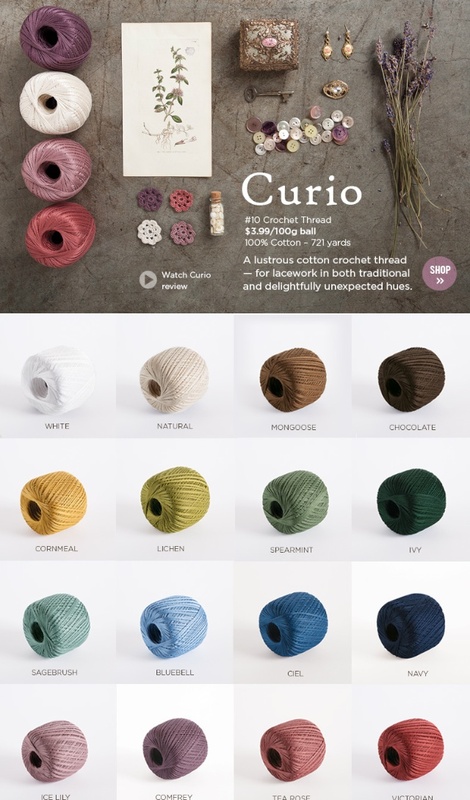 - Knit Picks Curio crochet thread because I really need another fiber habit. But look at these colors! 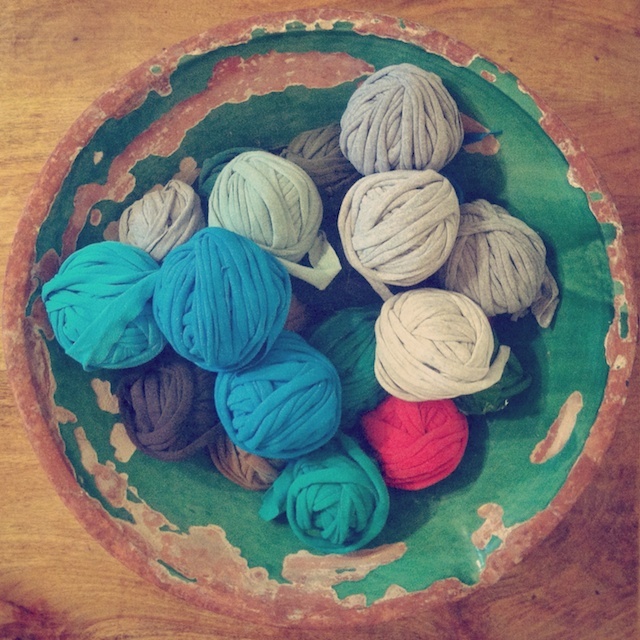 - An ombre crocheted yarn basket for my living room to put all of these crafts into. I am slowly collecting t shirt yarn from Goodwill for this project. - Off white Converse hi tops, like we used to wear on the basketball team. I can cross these off because my daughter already prodded me to buy them. She's my green light. I take her shopping with me when I want permission to buy. - Thea Colman's Baileys Irish Cream or Rolling Rock sweaters. Sigh. I have to work through some of my yarn first. - Thea's sister's hair (above). Asymmetric bobs were the new wave thing when I was in high school and I'm nostalgic for that- the short hair, not high school. I was admiring her hair along with Thea's patterns on the Summer Sweater KAL thread when Thea chimed in and posted an even better photo of her sister's do for me to take to my stylist. How cool is that? I don't have perfect curls, but I'm doing it anyway on Saturday. So my Il Grande FO photo should include significantly shorter, frizzy hair. - and mitts in this Totoro themed Gynx Yarn. 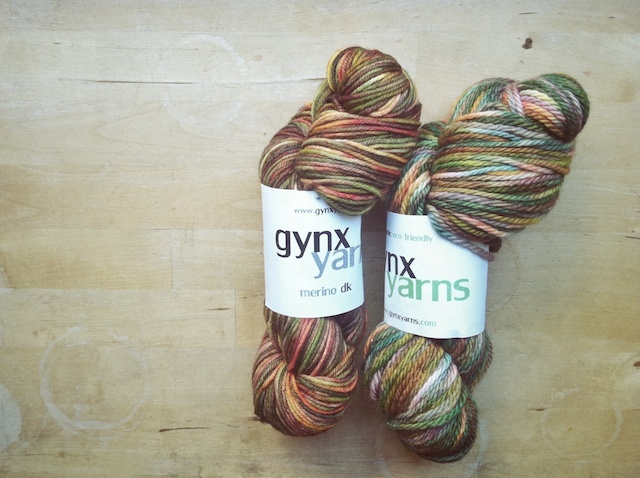 Laura has some incredible hand dyed colorways that appeal to everyone. But their inspirations really appeal to sci-fi/ fantasy nerds. (She's having an August sale, too!) I first saw My Neighbor Totoro in '91, also while I was in high school, and am nostalgic about it too. - Glass lattice cabinet doors. I've waited 8 years to do something about our kitchen. One child is graduating from high school, the other is graduating out of a bunk bed. I think it's time to do what we want to our kitchen, especially since we tend to hover and have more conversations around the table. My part is to paint the cabinets and walls white while my husband works on the Murphy bed this summer, but I'm thinking of waiting until school starts. - Also for my kitchen, a polaroid/ instagram collage frame. The thought of having so many of these out in the open where we can see them makes me so, so very happy. -Oh, yeah, and more sleep. Oh gosh, now I want want want too! I can't wait to see the haircut! You'll look great. :) You know you can knit with crochet thread? It's really nice, like lace but sturdier. I wish I had put off my crochet thread cardi until Knit Picks had released all those lovely threads. Those murphy beds are pretty fantastic because they are super comfortable too! My aunt and uncle have one in their guest room, and we stayed in a hotel on an Island north of Vancouver Island in BC that also had the same type of bed, and they are INFINITELY better that those awful hide-a-way beds. The hair, the hair, show us your hair! It's day 2 and I was able to make it look good on my own, so I'm very pleased with it. That's good to hear, Caitlin. I think as part of a built-in bookcase it will get much use, even after our kids are grown. we are SO on the same wavelength!! !